On March 17, 2019 Excelsior Chapter held their installation of officers. Congratulations to Jacob McFarland, newly installed Master Councilor; Zane Lintner, newly installed Senior Councilor; and Isaiah Masterson, newly installed Junior Councilor for the Chapter. Good luck and best wishes on a successful and fulfilling term of office, to you and your entire corp of officers. 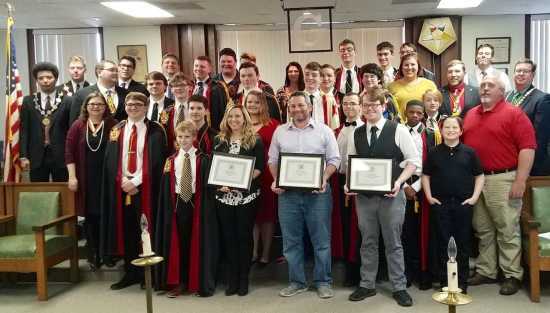 The chapter also celebrated the 100th Anniversary of DeMolay International which was March 18, 2019.